Note that Paul reasoned in the market place those who happened to be present. The market place, or agora, was the civil center of Athens. This would have included the Stoa (porch), a colonnaded structure on the east side of the market place. Social, political, legal meetings and religious and philosophical discussions took place there. Paul made use of this setting as an opportunity to teach and reason about the true God, and His will for all men. Stoa of Attalos and Market Place (Agora) from the Areopagus. Photo by Leon Mauldin. Attalos II was king of Pergamum 159-138 BC. It was he who first built the Stoa. 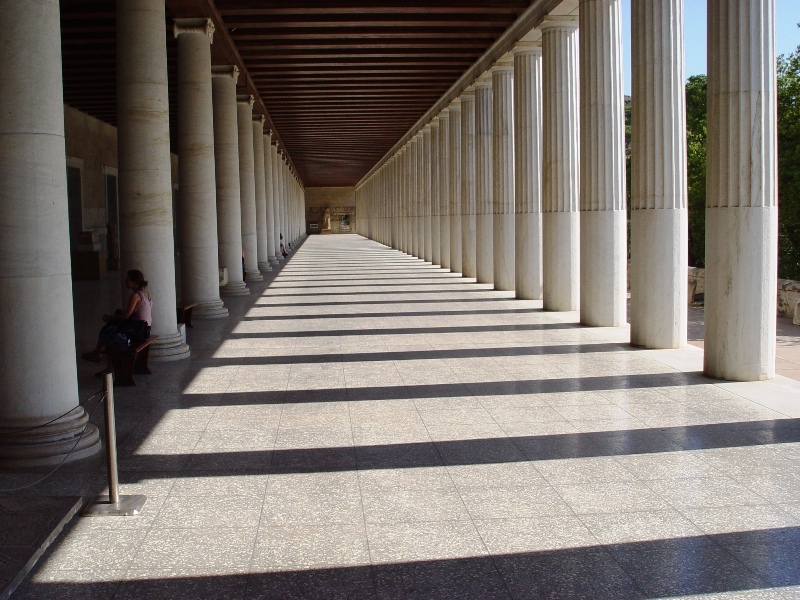 Stoa of Attalos. Consisted of two stories. Photo Leon Mauldin. 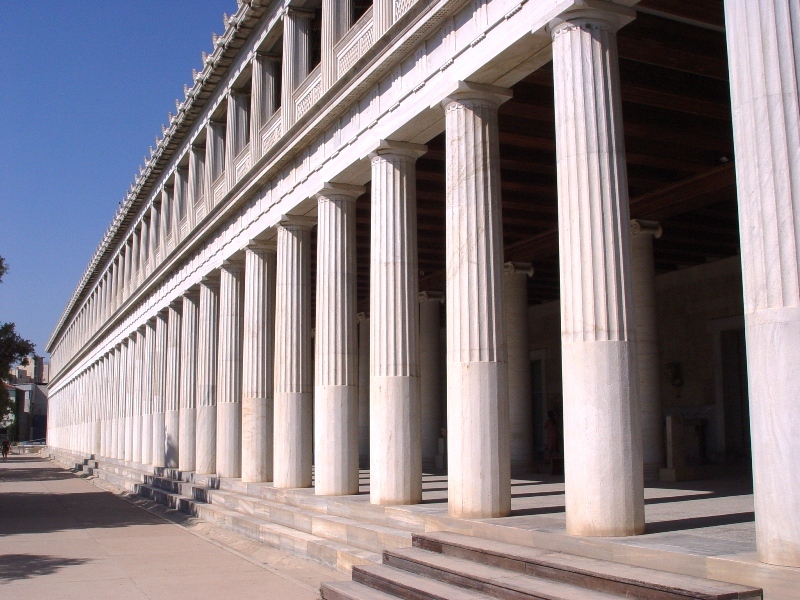 The Stoa was 385 feet in length and consisted of two stories. It housed 21 shops on each floor. 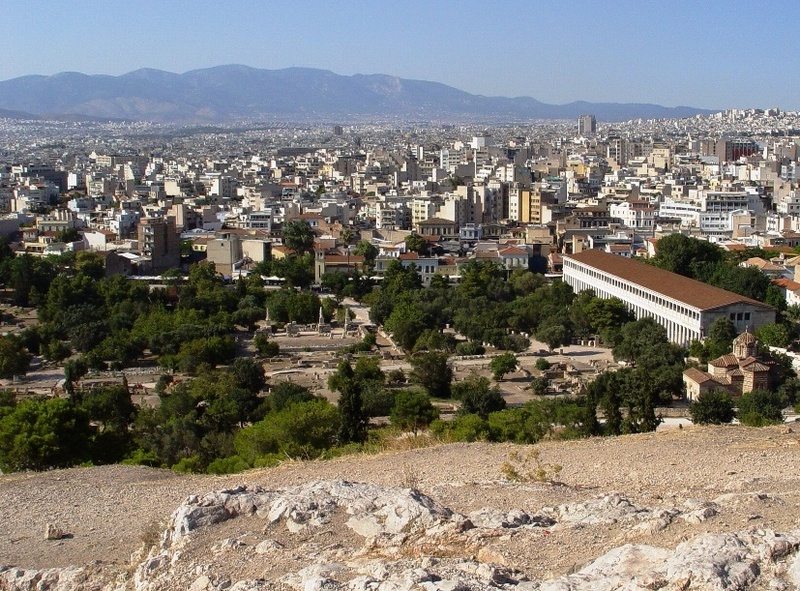 Again, this would have been the site for Athenians to meet, walk, and to do business. Stoa of Attalos at Athens. Photo by Leon Mauldin. Here is a view of the Stoa showing first floor level. Restoration of the Stoa was carried out in 1953-1956 by the American school of Classical Studies with the financial support of John D. Rockefeller, Jr. This entry was posted on Thursday, January 20th, 2011 at 9:31 AM and is filed under Athens, Bible History and Geography, Bible Study, Greece, Travel. You can follow any responses to this entry through the RSS 2.0 feed. You can leave a response, or trackback from your own site. Great article bro. Mauldin. I hope to be able to go on one of these tours in the next couple of years if the Lord wills. The article did remind me of an exchange I was a part of in one of our Bible classes about the exchange between Paul and the Athenians. There is a member of the church here who thinks the best interpretation of Acts 17:22 as “I perceive that you are worshippers of many demons” rather than “very religious” or “too superstitious”. What would be your answer to this interpretation? David, Thanks for writing. You’ve raised a good question re: Acts 17:22. See my Jan. 22 post for my response.